Outside a Senate hearing this week on how the state should pay for a nearly $60-billion backlog in state road and highway maintenance and a $78-billion shortfall in funds to repair local roads, California’s political leaders appeared to be locked in their customary gridlock on tax issues. A broad new coalition of labor and business groups have called for raising $6 billion a year for transportation investments, including the first increase in the gas tax since 1994. Republicans, meanwhile, dismissed this approach, saying the state needs to spend the money it has now better—including the redirection of billions of dollars from California’s new cap-and-trade auctions (a tax idea Democrats, in turn, rejected). Based on the headlines, it may sound like a case of so far, so bad for the new special session, but there is a noticeable gap between the political jockeying outside the Capitol and the earnest efforts to work toward a compromise within it. This week’s hearing of the Senate Committee on Transportation and Infrastructure Development was a case in point, with the committee reviewing six bills on Wednesday—all with different approaches to raising revenue and improving how the state spends it—and Democrats and Republicans alike demonstrating a genuine desire to find a solution. Four bills ultimately emerged from the hearing (three of them authored by Republicans) that, taken together, could offer the first glimmerings of a potential road funding deal. At the heart of this potential package is a combination of new money, new protections to ensure road funds are spent on roads, and new accountability measures to ensure Californians know exactly how and where the money is used. It seems clear that only with all three can lawmakers attract the bipartisan support they need to pass funding legislation. Beall is the author of a bill (SBX1-1) that would raise $4.6 billion in new money for roads—earning the support of Democrats with its combination of higher gas taxes (12 cents a gallon), a diesel tax increase (10 cents a gallon), new road access charges ($35 a vehicle), a bigger registration fee ($35 a vehicle), and a new charge for zero-emission vehicles ($100 a vehicle). The bill would also accelerate the repayment of $1 billion in outstanding loans borrowed from transportation accounts during the recession. While no Republicans voted for Beall’s bill—and none are likely to until a more comprehensive deal is in place—both parties rallied around another idea: constitutionally protecting transportation funds to ensure they are actually spent on the roads. A second bill (SCAX1-1), introduced by Senate Republican Leader Bob Huff (R-San Dimas), would prohibit the Legislature from borrowing revenues from fees and taxes imposed on vehicles—and would also require any revenues from the Vehicle License Fee above its current rate of 0.65 percent to be used solely for streets and highways. While new, constitutionally protected funding could be part of an ultimate deal, it seems clear that a funding package will also need new accountability measures to ensure Californians know exactly how and where the money is used. 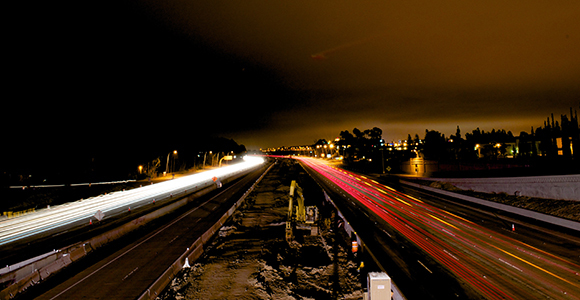 In this week’s hearing, two bills that share this goal earned overwhelming support—including SBX1-13 by Sen. Andy Vidak (R-Hanford), which would create a new Inspector General to oversee how transportation funds are spent, and SBX1-12 by Sen. Sharon Runner (R-Antelope Valley), which would shift responsibility for overseeing state highway funding away from Caltrans, giving more authority to the California Transportation Commission. Might the same approach work for state transportation investments? The Assembly has not yet taken up transportation legislation and will certainly have its say. But in the Senate, a framework does seem to be emerging for a potential deal—one that could rely on a blueprint that’s worked in the past. Democrats and Republicans supported a gas tax increase in 1990, for example, that was contingent on the passage of a constitutional amendment, Proposition 111, that provided long-term budget assurances that were part of a comprehensive deal. A similar agreement on a road funding package may be weeks—or even months—away. But inside the Capitol, it is becoming clearer how lawmakers could get there.